The Top of the Tree awards is special recognition for outstanding retail practice across EUROSPAR’s six pillar Retail Strategy of Value, Freshness, Rewards, Choice, Service and Experience that has been unanimously endorsed by their retailers. 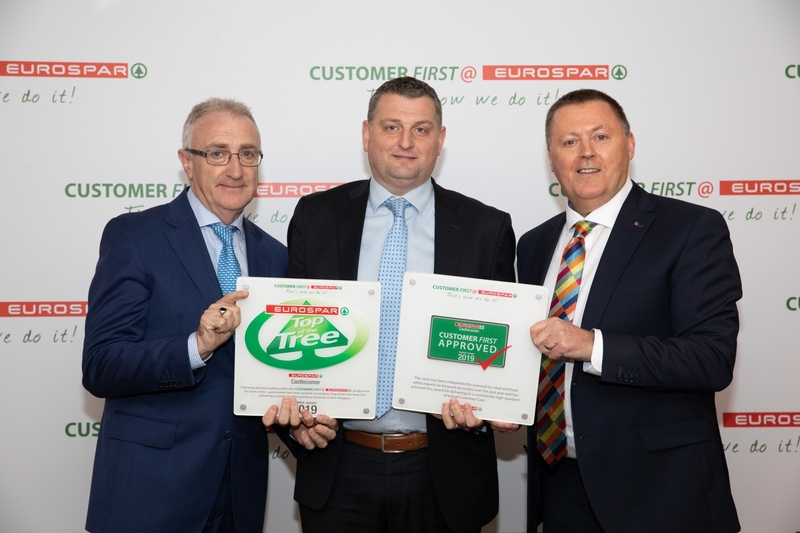 Forde’s EUROSPAR Castlecomer and McCarthy’s EUROSPAR Kilkenny were also presented with a Customer First @ EUROSPAR award at the ceremony. Customer First @ EUROSPAR is the retail operations standards programme that has been implemented across the EUROSPAR supermarket group. Forde’s EUROSPAR Castlecomer has been serving the locality since 2007 and employs 62 staff locally. It is open Monday to Sunday, from 8 am to 10 pm. McCarthy’s EUROSPAR Kilkenny has been serving the locality since 2005 and employs 70 staff locally. It is open Monday to Friday, from 7.30 am to 9 pm, Saturday from 8 am – 8 pm and Sundays from 9am to 6pm.